What’s good? This is a very small and light emergency toolkit, which you can stick in a rucksack or tankbag and forget about, until you need it. 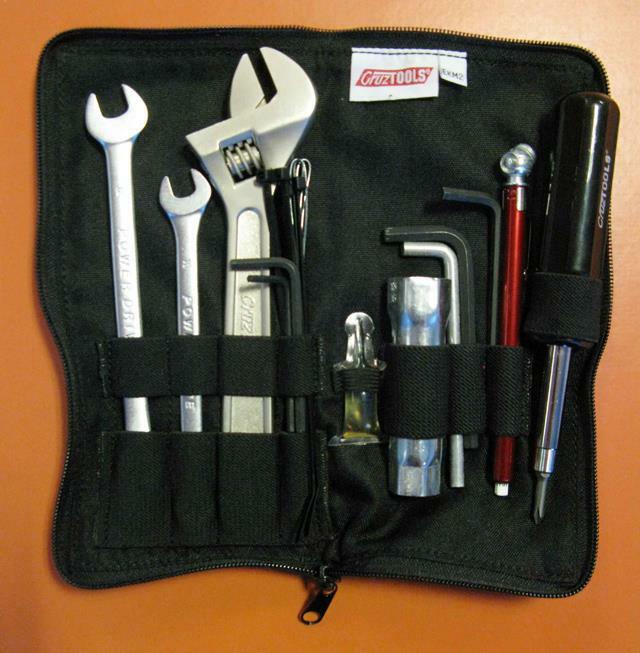 You get a good quality 10mm, 12mm, spark plug and adjustable spanner, as well as cable ties, lockwire, a screwdriver with flat and Philips ends, Allen keys and a tyre pressure gauge. There’s also a baby pouch of WD-40 in there too. Well handy! It’s sensibly priced too. What’s not? It’s all good. Fast, loud, thirsty and anti-social, Kawasaki’s H2 triple embraced the Seventies’ spirit of excess.